-Mark Fisher, k-punk, January 13 2005. It must have been late 2003 when I first came across a blog titled ‘k-punk: Abstract Dynamics‘. At the time I did not know the author behind the blog was Mark Fisher. I was fascinated and intrigued by his interest in popular culture, hauntology, ‘the weird’, Joy Division, grime, science fiction. In retrospect, his early blogging, say, between 2003 and 2008, represents a golden age of blogging. It is not a coincidence that the 2008 financial crash would also see a systematic shift in the attention economy, microblogging taking the place that long-form blogging used to have. I am brought back to k-punk because it helps me realise how privileged, and how necessary, was to have the time to think and to write in a personal-yet-public platform, not for the sake of academic assessment or pomotion, but as a public exercise of thinking as a work-in-progress, and, importantly, as a generous making public of ways of reading and listening, of reading and listening as performative activities that required their own dedicated time and space. (Take, for example, this post about Ursula K Le Guin’s The Lathe of Heaven, or the conversational approach he took by addressing other bloggers with whom there was an ongoing dialogue, as in this post). Fisher was often unapologetically obscure, and could come across as intellectually arrogant, but he was passionately disciplined in his blogging, and obsessively committed to cultural critique in its widest-yet-specific sense. Some of his posts were very short, sometimes limited to photographs or hyperlinks, other posts were proper essays, or notes towards longer pieces, or the re-sharing or further discussion of writing he had published elsewhere. Looking back at his blog I am infused by a sense of nostalgia for this time in which taking the time was possible– I envied Fishter’s courage to just post, post, post, and to articulate complex theoretical arguments about apparently contradictory cultural artifacts (what do Fugazi and Beyoncé have in common?). 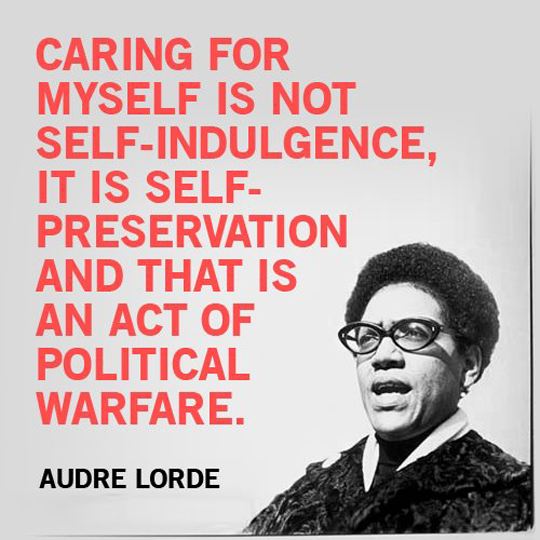 Reading Audre Lorde recently, for example her essay ‘The Transformation of Silence into Language and Action’ (1977), I have also been reminded of the importance of taking the time to perceive, think, write, and share as a political act. This could be abridged to taking the time as self-care. The relentless automation of experience (I tried to refer to this in my previous post) has different manifestations, one of them being the enhanced competitivity of the attention economy and the acceleration and reduction of time and form, as represented by both Twitter and the maxi-minimalist how-many-minutes-will-it-take-me-to-read-this culture of Medium posts. Another manifestation is the increased popularity of vlogging and of videos as a form of pervasive-reality-TV that takes the role of baby sitter, tutor, news anchor, and all-round entertainment platform. Music streaming services and playlisting have prioritised mobile consumption, implying that media (music, film, TV, even writing) is ‘consumed’, at least in urban areas, ‘on the go’, i.e. while doing something else. It is in this setting that sitting down to listen to an album/LP, or a 7″ single, or a CD, or a tape, in real time and for the time it takes to play becomes a rarity, a luxury, an extravagance and a privilege. The same for sitting down and just reading a book or a magazine without being interrupted or distracted to do other things. Like taking the time to do Yoga or napping or meditating, listening to music or reading print publications requires a conscious pause or interruption from the 24/7 demands of our accelerated, automated present and endless should-have-submitted-yesterday to-do lists. Just in case the clarification is needed: I am not in any way advocating switching off completely or for smartphone-free retreats; I believe that either/or discourse only perpetuates stress and anxieties. My point is rather to recognise that certain processes such as listening, reading and writing in a focused and concentrated way, on specific media that imply and require specific spatiotemporal performative conditions, requires, indeed, from a singular time and space, and that time and space is increasingly rare and more and more precious, to the point of feeling revolutionary, precisely because it breaks with the pragmatism, speed, order and flow of currently expected behavioural patterns. It is indeed concerning that to take the time to do what is essential if one is in a profession that requires study, interpretation and analysis should become an act of self-preservation. But it is. Creating the circumstances in which taking the time to think, to write and to share for the sake of it and not for academic boxticking remains crucial if we want to remain not only motivated and inspired, but individually and socially healthy and therefore able to keep making contributions. Mark Fisher is no longer with us, but his writing remains. I am not certain how long his blog will remain online– I am hoping it is preserved for future generations to consult. (Read Simon Reynolds about Fisher’s blogging here). After his passing, I wrote this. To me, at least, his blog remains as a reminder that in spite of changes in cultural perceptions, the importance of taking the time to focus on reading, on listening, on reflecting, on writing and sharing remains crucial: an act of self-preservation. Update: Anthony Wilson has kindly compiled a list of blog posts and resources on the/posted during the USS Strike. Don’t miss it!